This blog post uses *PR-Samples and affiliate links. Please read disclaimer. 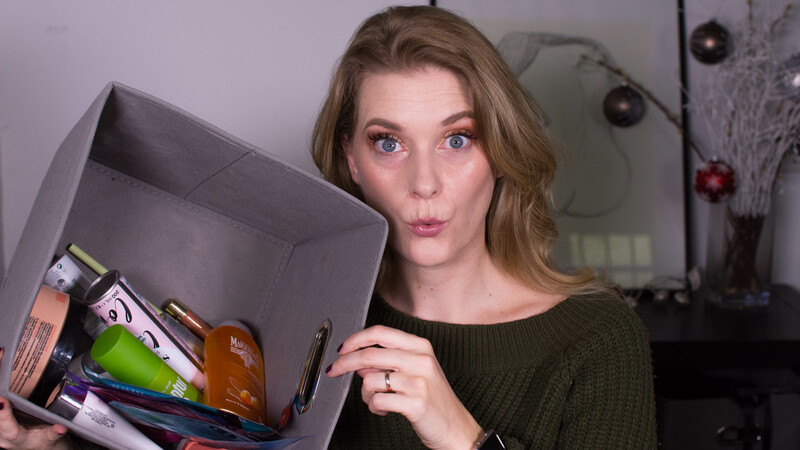 My first ever video was an Empties one. It was shortly after Christmas, I was seven months pregnant and lighting, sound and setup were awful. It is still live though, and I am happy I decided back then, after much uhm-ing and ah-ing, that I wanted to film. Empty containers are better shown than photographed, at least in my opinion, and having a written text on 24 different products would probably prove cumbersome to read. I am not sure now if it is any less cumbersome to listen to me talk about the 24 empty products, but I´ll just continue blabbing on. Seeing that I managed to keep the video under ten minutes I am positive it won’t be too bad. This blog post contains PR-Samples and affiliate links. Please see disclaimer. One in, two out, that was the rule I once tried to establish. 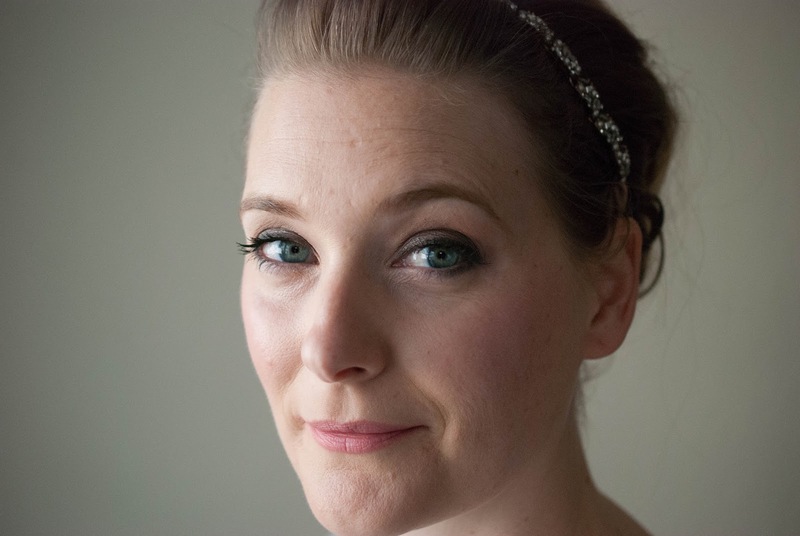 And while I think I did pretty good in terms of skincare… No, seriously! I realized I didn’t have any cleansers in my back up drawers just the other day, something that I considered impossible a year ago. So while I think I did pretty good in terms of skincare, I still can´t seem to go through my makeup. I throw out the odd thing here and there, but even with a conscious effort to wear all my lipsticks and decide which ones to keep and which ones to give away, I haven’t managed to slim down my collection. And if I look at the ratio of New In Beauty vs Empties videos I post, I feel like I am doomed to drown in beauty products. This post contains PR-samples and affiliate links. Please see disclaimer. Given that I am a full time working mother of two, my mornings are usually pretty relaxed. 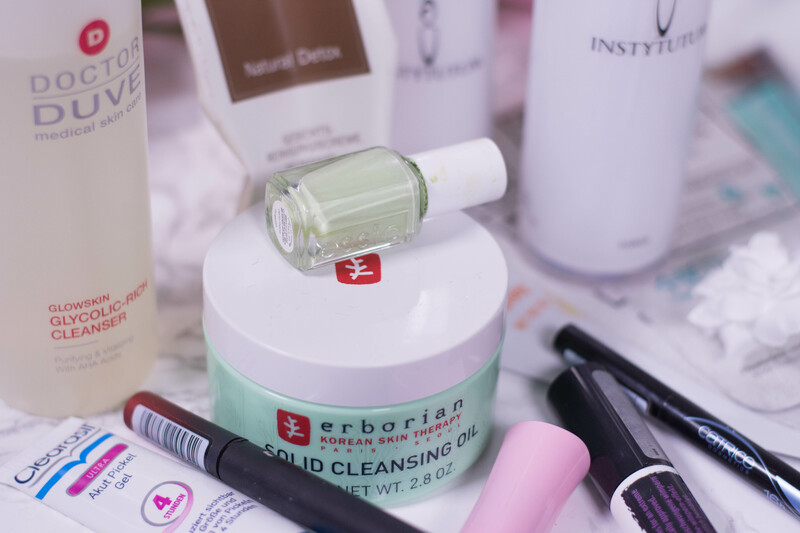 And I am well aware that a morning skincare routine like mine (read here if you are curious), though already streamlined, is not possible for someone with little to no help. In case you didn´t know, we live in a shared house with my parents, as one big family, and as my parents take the kids to daycare after breakfast, I can get ready and rush out the door at 6:45 without the need to do the whole dress, feed, dress again and then drop off. How lucky I am strikes me, when my parents are on holiday. Because despite getting to work one hour later than usual, I barely find the time to brush my teeth, let alone do a five step morning routine. Now I can´t skip makeup entirely and I already do breakfast al desco, so cutting down my skincare is the only way to go. Which is when multitasking products come in very handy. 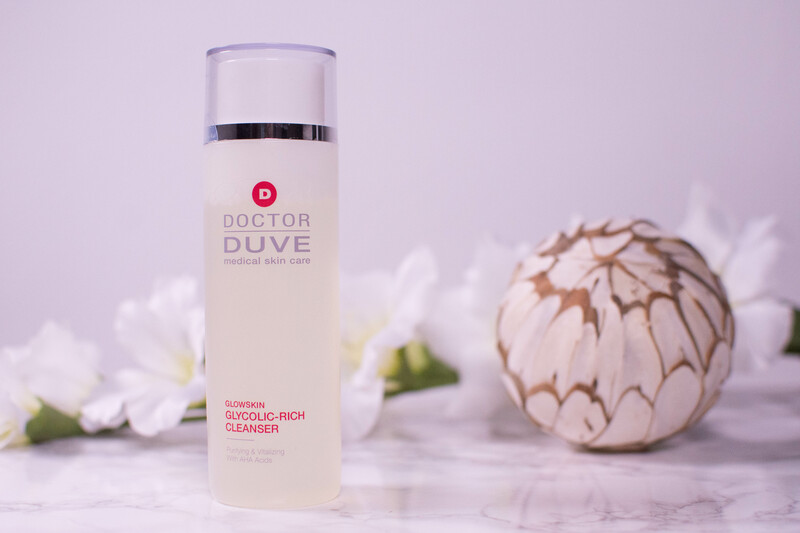 Like the Doctor Duve Glowskin Glycolic Rich Cleanser *. I took last week off work. There were numerous reasons, and the leading one surely was that I had accumulated so many extra hours over summer that I needed to loose a few. Another, really important reason though was that I wanted to get back on top of my blogging game again. After the summer holidays life was so busy, I never quite went back to my prepared and prescheduling self. And I was tired (in every sense of the way) to write up my blog post the night before publication. You see, I had the best intentions. And, starting Tuesday, I had a sick kid that couldn’t attend day care and needed her mother. 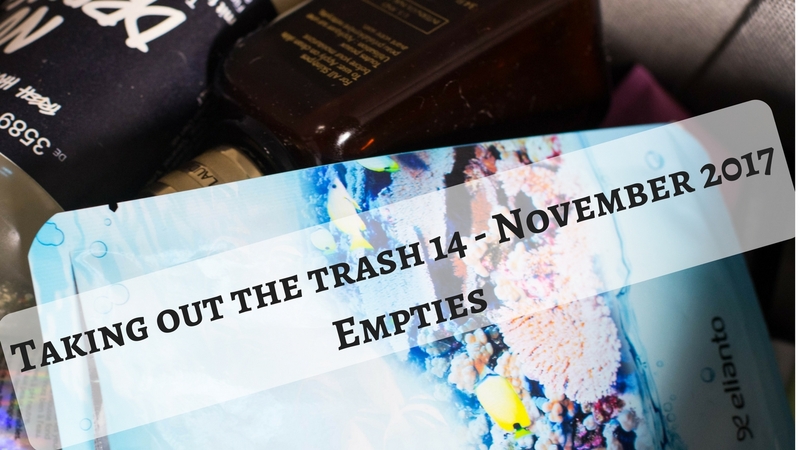 So I sit here, Sunday night, clicking away on the keyboard to get my November Empties ready. I guess life is what happens when you are busy making other plans! Even though I think I have picked up quite a bit of blogging lingo over the years, some things will forever be alien to me. Like the term “branding”. Sure, I know what it means, but the first thing that comes to my mind is a cow getting marked with a red hot iron. Which maybe isn´t that far from reality, now that I think about it. Or “Instagram theme”. Luckily that is already so 2016, with lot´s of big names telling us how liberating it is to no longer have one. Good thing I never figured out what mine would be, or I would have dozens of rainbow picture probs going to waste now. If I look at my feed though I can´t help but notice that there is some repetition going on in my pictures. Not in terms of probs (I don´t use any) or background (most of the time it is my bathroom wall), but in terms of the things I take pictures of. Because, believe it or not, the majority of my pictures is skincare routines. The real ones, the ones that I actually did put on my face, and as I am a huge fan of thoroughly testing a product, you will see the same pots and pumps over and over again. Boring? Maybe. Well, the product I am going to talk about today is the complete opposite. It is the definition of acid burn. Don’t get me wrong though, I like the burn. It is like proof that the product is actually working (in my head at least). 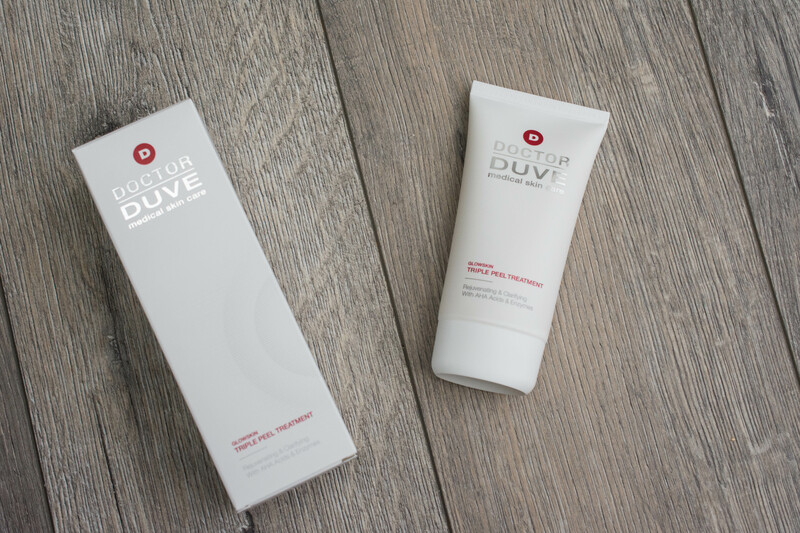 So if Aurelia Refine & Polish Miracle Balm was the much needed comfort blanket for my skin when I had a cold, what is the Doctor Duve Glowskin Triple Peel Treatment (PR-Sample)? 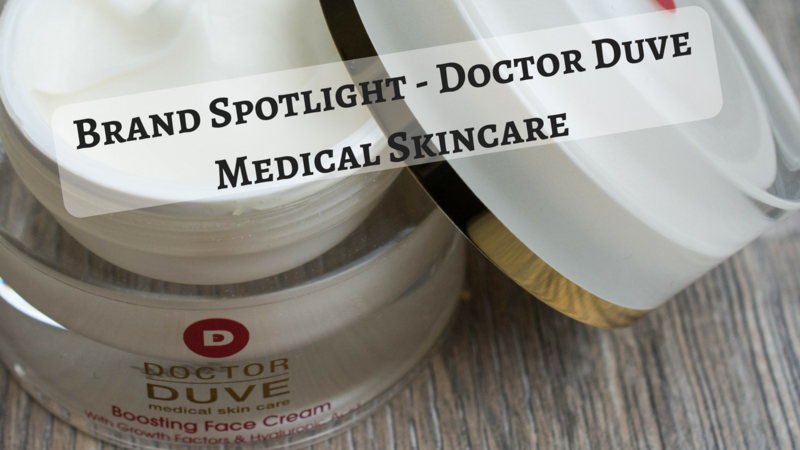 Doctor Duve Boosting Face Cream – How do you want to age? How do you want to age? Smart! Now that is a slogan that is right up my street. Quite frankly, I don’t really like the term anti-aging. I do enjoy aging. Not the fact that I get wrinkly, saggy and that it takes me three days to recover from one night out. But the fact that I get to spend another day amongst my loved ones, and the fact that I grow wiser (Is this too bold a claim?) and more forgiving against myself and others. Even though my husband may disagree on the latter. Like someone once said: The only way to prevent aging is to die young. So yes, I do want to age. But I want to age smart. And by smart I don’t mean not showing any signs of aging. By smart I mean looking the best I possibly can, adapted at my skins needs. And those needs have changed quite a bit over the last years. 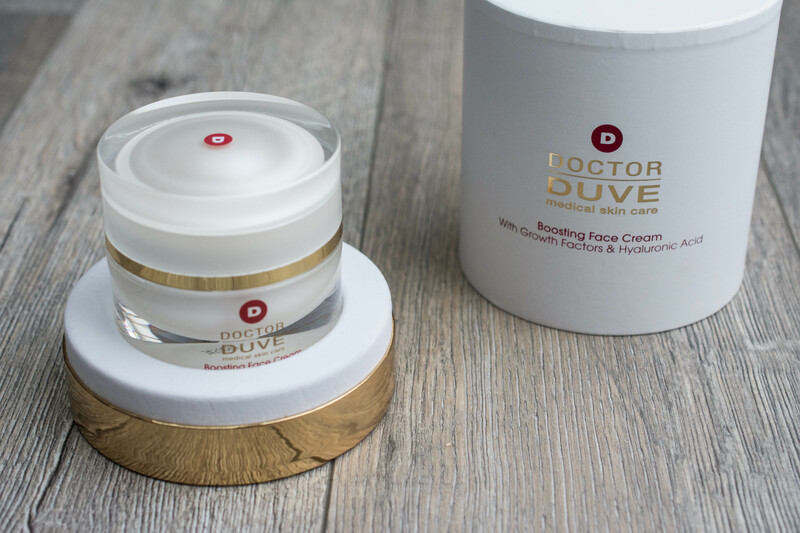 When at first I looked at the Doctor Duve Boosting Face Cream (*PR-Sample), I had in mind to hand it over to my mother. But one cold winter later I was happily slathering it on my own face.